In this article we discuss the condition itself, the causes, symptoms and all the most effective home remedies and natural treatments for Athlete’s Foot. The athlete’s foot condition is one of the most common and annoying foot problems encountered by millions of people in the United States. Aside from developing blisters on your feet, there is biting itching every few minutes of your work time. It is a fungal infection that is caused by the fungus tinea pedis, that often grows in the areas that are warm and moist. It is a fungal infection. It is caused by a fungus called tricophyton. The name is misleading as it lets one think that it affects only the athletes. In reality, it is not so. It may affect anyone. When the fungus infects the barefoot, anyone can get infected with the athlete’s foot. Why did this fungal infection get the name athlete’s foot It affects people whose feet are wet. An athlete’s foot is damp often because athletes sweat a lot and they wear wet socks and shoes for a long time. The foot fungus is more common in damp and wet places like bathrooms and shower rooms. When the bare foot of the athlete gets contacted with the fungus in the shower room or locker rooms, they get infected with the disease. The athletes get affected with the disease more easily. That is why this infection caused by the toe fungus got the name athlete’s foot. Since feet remain in shoes for most of the time, this is the perfect place for this virus to develop. However do not fret as there are plenty of home remedies for athlete’s foot available. The athletes’ foot condition is characterized by itching in feet that occurs mostly between the toes. People suffering from this condition find tenderness and redness in the affected areas. The affected skin can crack not only due to the scratching problem, but also due to this fungal infection which is very painful at times. When left untreated, the affected area can develop blisters and the toenails of affected person can become thick and yellowed. 1. The skin between the toes get cracked and then peeled off. 2. The skin in the affected area becomes red and itchy. 3. As the fungi keep on growing the patient may experience pain and burning sensation. 4. The next stage is the formation of sores. The blisters start to ooze out pus like fluid. 5. If untreated, the fungi may even spread to your nails. You may get yellow toenails and can be quite painful. The above are the common symptoms. There are three types of athlete’s foot and each one has different symptoms. If the skin between your fourth and fifth toes is affected, you may have toe web infection. If you have oozing blisters in the bottom of feet, there are chances that you are affected with vesicular infection. If the skin in your heel becomes thick and starts to crack, it may be due to mocassin infection. As seen earlier the disease is caused when the bare toes or feet gets in contact with the fungus. When a person walks barefoot in wet places like swimming pools, public showers or in locker rooms he is more at the risk of getting infected. You can also get infected with the disease when your toes or feet come in contact with the infected feet. The fungus that is in your toes starts to grow if your shoes, socks and feet are wet. If you touch a person’s foot infected with the toe fungus and touch another person’s toe, the other person is likely to get infected. You may spread the foot fungus unknowingly to others. A person who gets infected with this fungus is likely to get infected repeatedly. People who are on some medications like birth control pills, corticosteroids and other drugs that affect the body immunity are more susceptible to the disease however and luckily, for athletes foot are plentiful. The disease can be diagnosed by your doctor just by having a look at your feet because the symptoms of the fungal infection in your toes or feet are very obvious. To confirm the presence of the toe fungus, some tests may be recommended. The flaked skin is removed and tested under a microscope. This is called KOH test. Culture test may also be preformed. As mentioned earlier, athlete’s foot treatments are plentiful however over the counter topical medications are also available to treat the athlete’s foot. You can apply the topical medications on the area after washing and drying the area. If you there is no improvement, you can consult a doctor. Antifungal powders, creams and ointments are prescribed by the doctors to treat athletes foot. Doctors may prescribe oral medications also apart from topical medications. Natural treatments are the best to treat this fungal condition. They are cheap, but effective in treating the disease. You need not wait in the doctor’s consultation room for hours. Natural remedies have no side effects. They are completely safe. If you get infected with the fungus in your toes or foot, first try to treat the toenail infection with home remedies. There are many home cures for the disease of athlete’s foot and a few of them are listed below. 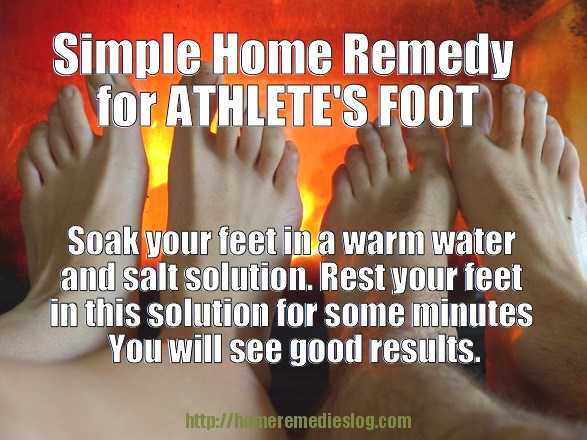 Soak your Feet – You can solve athlete foot problem by using a warm water and salt solution. Juts rest your feet in this solution for some minutes and you will see good results within two days. Add a cup of white vinegar to water. Soak your feet in this solution for ten minutes. Dry your feet well. You can do it thrice a day. You can also tea tree oil instead of vinegar. Tea – Boil some tea in water and soak your feet in this solution. Tea has tarric acid that helps in fighting fungal growth. It also relieves you of itch. Apple Cider Vinegar – You can apply some cider vinegar directly on the affected area and let it dry. Second way of using apple cider vinegar is to use equal quantities of water and apple cider vinegar and soak your feet in the solution for about ten minutes. You should repeat this for about three weeks and your athlete foot problem will subside and go away within this time period. Brushes and Scrubs – Use clean brush and scrub the skin of your feet. This will rid you of some flaky skin and athlete foot problem will subside. Use some Baking Soda – Apply some baking soda to the affected area by making a pasty solution by mixing it in water. You can also soak your feet in the solution of baking soda and water for about twenty minutes for few days to control and remove an athletes foot problem. Raw Garlic and Honey – The anti-fungal properties of these two create great home remedies that can control your athlete foot problem. Place slices of garlic on your shoes. The garlic is a good infectant and will kill the fungus. Asprin – You can also dissolve 5-6 aspirins in water and soak your feet in it. Neem Oil and Pumice – You can also rub the affected area in your foot with pumice stone and then soak your feet in warm water adding garlic and cloves to it. Dry your feet and apply neem oil over it. Repeat this daily till the infection goes away. Aloe Vera – You can use natural skin soothing gels like aloe vera. It has amazing effect on athlete foot because of it natural anti-fungal properties. You should apply it for at least two times a day. Olive Oil – Apply olive oil on the affected area. Cleanliness – Make sure all the areas in your home where you walk barefoot are thoroughly disinfected and are dry. Clean all your shoes and socks and apply a few drops of vinegar on them after they are dried. 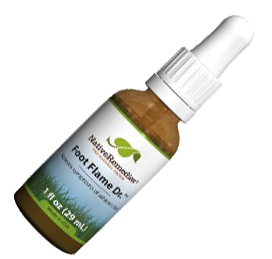 This will prevent the growth of toe fungus that may be present in them. Avoid Processed Foods – Avoid eating bakery and processed foods that have high yeast content. Include a lot of fibrous vegetables and fruits in your diet. Raw Garlic – Chew raw garlic or add minced garlic in half a cup of water and drink it. Shoes – Never wear tight shoes. Natural Oils – Finally, you can use some natural oils, such as tea tree oil and vitamin E for getting rid of the athlete’s foot problem. They are fantastic agents for controlling this fungus and may help in alleviating your athlete foot symptoms. The athlete’s foot problem is also resolved to a great extent because of the natural oils that can disinfect skin irritations. FootFlameDr. – CLICK THE BOTTLE BELOW to see more info on this amazing natural remedy to help heal up Athlete’s Foot! Prevention is always better than cure. Here are some more tips on how to avoid athlete’s foot. Wear loose fitting socks and shoes. Keep your feet dry. Dry your feet, the toes and the gap between the toes with a towel. Avoid walking barefoot in public showers and locker rooms. It is better to wear cotton socks. If your shoes are wet, let them to dry. If you have to wear them immediately, dry it with a tissue paper or soft cloth. If your feet sweats a lot, it is better to wear open type foot wear. You can easily avoid athletes foot if you take proper care of your foot and toes and if you do become afflicted by it I am sure that by applying some of the home remedies above you will get some well deserved relief. Watch this video for some more remedies that you can easily find the ingredients for at your local pharmacy or chemist. Participate in our once a week natural remedies news letter and get home remedy and holistic health pdfs one dispensed to your inbox every week free of charge!. 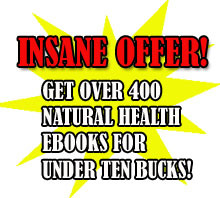 If you purchase my own personal ebook, “The Big Book of Home Remedies” you are going to also obtain straightaway admission into the confidential members space and that allows you to download any of our 410 and more holistic health and wellness ebooks free of charge.